The holiday season can be an especially difficult period for the bereaved. While the holidays are typically joyous occasions, for those who are mourning, the season can serve as a reminder of their loved one’s absence. To support the bereaved through potentially challenging holiday times, it is important to encourage them to express their feelings and take care of themselves. The health professionals at Sutter VNA and Hospice have drawn upon respected works to compile a list of 10 recognized ways of coping with grief during the holidays. The list is summarized below and can be read in full at the Sutter Visting Nurse and Hospice website. “Plan ahead to arrange holiday activities. 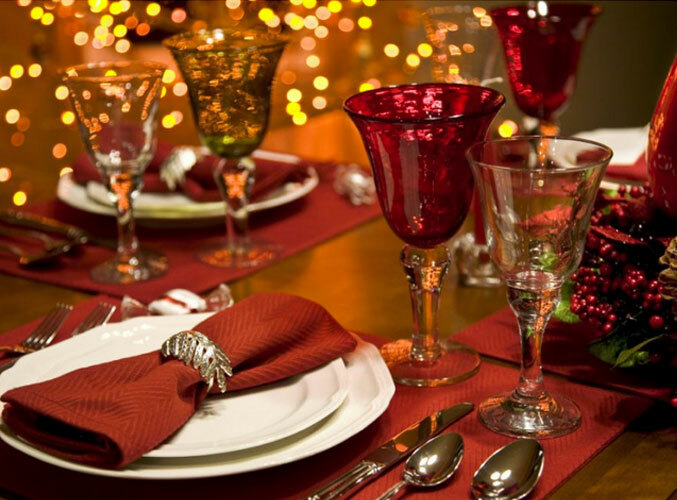 Give yourself permission to either maintain holiday traditions or transition to new ones.” Wonderful memories can be associated with holiday ceremonies and events. However, after the loss of a loved one you may feel that it is time to hold on tightly to those traditions and revel in them or you may feel that it is time to rewrite traditions and create new ones. Whichever path you elect to take it is of utmost importance to be patient with yourself as you embark on a journey without the presence of that special loved one. 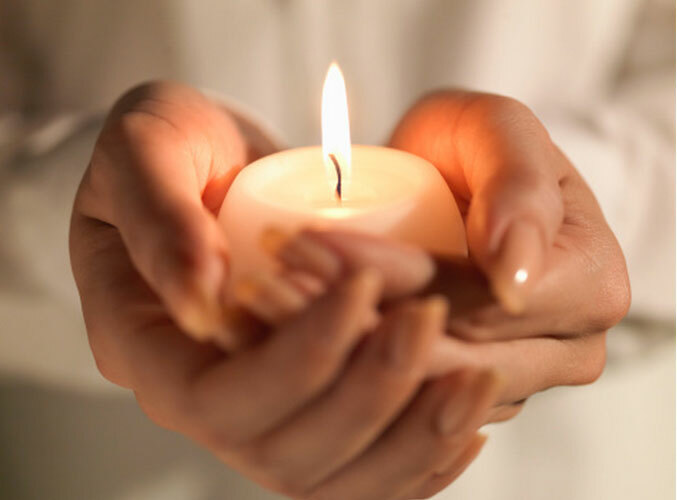 “Light a candle in honor of your loved one.” The simple act of lighting a candle to commemorate the life of a loved one can do wonders for the heart and soul. The flame stands as a symbol for vibrancy, energy and balance. Keep the candle lit in your home as a reminder that the memory and legacy of a lost loved one does not flicker after they have passed. 3. Express your feelings. Don’t hold back tears. “Express your feelings. Don’t hold back tears.” Internalizing emotions is a common behavior for those who are grieving. While it is important to remain strong- minded, expressing your emotions is essential during the grieving process. Tears are a natural reaction that can relieve aggression, anxiety and sorrow and should be embraced rather than avoided. As Shakespeare said, “Give sorrow words”. Write an un-sent letter. The act of writing a letter to express your sentiments can be a therapeutic act. Completing a sincere and thoughtful testament can allow for you to relieve yourself of emotions on a profoundly personal level. “Share memories with friends and family members who knew your loved one.” Community and discussion are essential to commemorating the life of a loved one. Coming together and uniting over positive shared and unique memories can allow for the legacy of your lost loved one to transcend time and become memorialized. “Decorate the memorial site” Adding flowers, tokens, photographs or memorabilia cherished by you or your lost loved one will help to personalize the sacred space and allow for you to feel closer to the person you cherished. “Play music that is comforting and meaningful to you.” Music can stand as a therapeutic eliminator of stress. Play a melodic, peaceful and calming tune to relax the senses and allow for the mind to clear. “Donate to a charity on behalf of your loved one.” Allow for the beautiful legacy of your loved one to continually give back to the community by donating to charities that help people in need. Read “Don’t Take My Grief Away From Me” by Doug Manning or other respected grief publications. Reading literature about how other people coped with grief and came out of the bereavement process can provide you with a fresh outlook on loss and perhaps uplift you during the difficult time. “Keep perspective. Anticipation of difficulty may be worse than the actual holiday experience.” Maintaining a positive attitude is essential for geting through the holiday season. Try to stay optimistic and imagine how your loved one would have wanted you to feel during this special time of celebration for family and friends. These 10 steps are merely stepping stones on the journey to overcoming grief. At Treasured Memories Keepsake®, our motive is to ease your pain and allow for your grief to turn to grace when you consider all of the beautiful memories and opportunities for growth and introspection that are available even after the loss of a loved one.